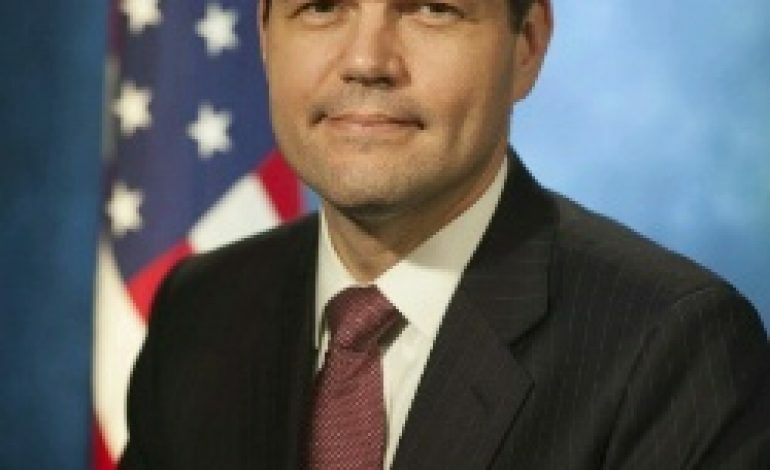 The US is constructing a long-term strategy to bolster their presence in the Eastern Mediterranean and are working to systematically strengthen security and energy cooperation with Cyprus, Assistant Secretary of State for European and Eurasian Affairs Wess Mitchell has said. He was addressing the Congress’ Foreign Affairs Committee, on Tuesday. “We are cultivating Greece as an anchor of stability in the Mediterranean and Western Balkans and working to systematically strengthen security and energy cooperation with Cyprus,” he stressed. “We also encourage President Erdogan to implement immediately his recent pledge to lift Turkey’s ongoing state of emergency, and to take additional measures to represent the diverse views of all of Turkey’s citizens and strengthen Turkey’s democracy,” he noted. Assistant Secretary of State Mitchell in replying to questions of Senato Shaheen provided the committee with details about the current status of the US-Turkish relations, including the issue os F-35 fighter jets, the imprisonment of American Citiecns and the possible US sanctions if Turkey buys Russian S-400 missles. SHAHEEN: There’s no doubt about that, not just in Bosnia-Herzegovina, but, as you point out, in Kosovo and Serbia and throughout the Balkans. So I think the more we can do to help stabilize the situation, the better. I want to turn, finally, to Turkey, because there are a number of issues with Turkey that I know the State Department is very concerned about. And one of those is there continued pursuance of the S-400 air defense system from Russia, which obviously would be in violation of CAATSA law. So can you talk about what the administration is doing on that front? And, if Turkey does accept delivery of that system, when would we invoke sanctions under CAATSA? MITCHELL: Thank you for that question. As you know, Senator, I’ve been very engaged with the Turks on this. It’s a very serious matter. We’ve been clear in all of our communications with the Turkish government that acquisition of the S-400, which we would assess to have occurred when there’s actual — an actual delivery of the technology — we’ve been clear on multiple occasions with the highest levels of Turkish government, there will be consequences. First and foremost, what’s spelled out under CAATSA Section 231 — we will abide by that. And, when — when we determine that a transaction has been made, we will impose sanctions in accordance with the — CAATSA Section 231. We’ve also been very clear that, across the board, an acquisition of S-400 will inevitably affect Turkish — the prospects for Turkish military-industrial cooperation with the United States, including F-35. I — I think we have to put this in the context that this is a crucial ally and partner. What they’re doing for us and with us on Defeat ISIS is absolutely essential. We work with them very closely in intelligence and in other areas. But this has the potential to spike the punch. And I think we — we can’t be any clearer than — than saying that both privately and publicly, that a decision on S-400 will — will qualitatively change the U.S.-Turkish relationship in a way that would be very difficult to repair. SHAHEEN: Well, thank you. I think that’s an important message for Turkey to hear. As I’m — think you’re aware, I’ve been involved in efforts with Senators Lankford and Tillis to try and delay the delivery of F-35s to Turkey because of — primarily because of their holding, without any reason, American citizens, particularly Pastor Brunson. SHAHEEN: And I appreciate that, at last week’s ceremony with Lockheed Martin on celebrating the partnership with Turkey on the F-35, that the State Department did not send a representative to the ceremony. I think it’s, again, part of trying to send a clear message to Turkey about what our views are. And — but I do know that there’s some confusion about whether planes have actually been delivered. It’s my understanding that DOD officials have said that we have already begun delivery of planes. It’s my understanding that that is not the case. Can you confirm for us whether any planes have actually been delivered to Turkey? MITCHELL: As — you probably know this, Senator — the — in this program, the U.S. maintains custody of aircraft until their transfer, which normally occurs after a lengthy training process. In my view, that is helpful for us in these circumstances, because it gives us time to continue the messaging. My understanding is that we’re in the training phase. We have watched developments on the Hill, we know some of what’s being considered on — on F-35. We believe that we have existing legal authorities that would allow us to withhold transfer under certain circumstances, including national security concerns. Given that, we believe that we continue to have the time and ability to ensure Turkey does not move forward on S-400 before having to take a decision on — on F-35. We’re — we — we’re being very clear in our messaging to the Turks that there will be consequences. Beyond that, I would request the ability to discuss it with you in a classified setting. SHAHEEN: I’m happy to do that. As you know, those — the provisions that are in the NDAA and in the appropriations bill are also on track for passage, so there will be additional ability to cite the acts of Congress in dealing with Turkey. Can you tell me, to — to the extent that we can make this information public, how many American citizens we believe Turkey may be holding in prison? MITCHELL: We can confirm dozens of U.S. citizens — mostly U.S.-Turkish dual nationals — that have been detained or deported since the state — start of the state of emergency. You’re aware of some of the legal and privacy restrictions on our ability to discuss it in this setting. My understanding is that there are roughly two dozen detainees. Most are detained on criminal charges or foreign terrorist charges. Of that number, I believe four have signed privacy waivers, and we also have three locally employed staff who are being detained. SHAHEEN: And can you talk about what we’re doing to try and address those improper detentions and who we’re talking to in the Turkish government and the extent to which we’re bringing this up with President Erdogan? MITCHELL: The — the subject of these detained citizens, but particularly American citizens, is at the forefront of our agenda with Turkey. And, as important as these other areas are, all the way up to the level of the secretary and the president, it tops our list when we talk to the Turks. And the point that we’ve tried to make repeatedly is two things: Number one, Turkey does have legitimate security concerns that need to be addressed, and we’ve tried to help address those, including in Syria. In parallel, we’ve tried to help the Turks understand that, if they continue to unjustly detain American citizens, it will significantly alter the tenor of our relationship. We appreciate that Capitol Hill has created leverage for us in some of these areas. We use that leverage to the maximum ability. We explore every inch of leverage that we have on these. We raise it constantly. I’ll just use this setting to lay a very strong marker on the case of Andrew Pastor — Pastor Andrew Brunson in particular. I’ve been in close touch with his wife and his family — his family. We’ve looked at the arraignment and terms of the case that was brought against him in both English and in Turkish. There is nothing there. This is as manifest a case of unjust detention as we’ve seen. There are limits to how far we can go in transactionalizing things with any ally or with any country. But we’ve examined every option, and we message it all the way to the highest levels, and we’ll continue to do so. Most immediately, we’re — we’re hoping and expecting to see President Erdogan act on the pledge that he made during the campaign, expeditiously, to lift the state of emergency. And we’re monitoring that very closely. SHAHEEN: And I know I’m out of time. But, if I could, Mr. Chairman, just follow up with another question, because I know that, in the past, we have often assumed that, after elections, it would be easier to deal with President Erdogan and Turkey. That has not necessarily proved to be the case. And is there any reason to believe that he may be more responsive after these elections? MITCHELL: It’s a good question. We are — we have consistently said that we respect the democratic desires of the Turkish people. We were concerned about some irregularities in this election. We’re concerned about the state of human rights. I think, in the period after the election, our approach is going to be to continue to find those areas where we can cooperate and strengthen the relationship. As I said, Turkey has — is a strong ally and partner that has legitimate security concerns. So we’re going to continue to try to strike that balance. I’m not going to try to look in a crystal ball. I would just say that I think President Erdogan knows what our expectations are about our people, about the weapons systems, about all aspects of the relationship with other allies in the region. And we’re going to use every opening that we have to message that, but also try to get this relationship on a better track. It — it — Turkey — keeping Turkey on a track towards not only the political West, but the geostrategic West has to be a — a prime objective for U.S. strategy in the region. SHAHEEN: Thank you. Thank you, Mr. Chairman. JOHNSON: Thank you, Senator Shaheen. I appreciate you bringing up the subject of Turkey. Turkey’s treatment of Pastor Brunson is simply outrageous, and I think they need to understand that every member of Congress is highly concerned about it. I appreciate your and Senator Tillis’ lead on it. Mr. — Mr. Secretary, I appreciate your strong statement on it, as well. That would be a really big step in terms of helping to improve relationships with a very important country.